Fair. 1593764251 PLEASE READ! This book WILL contain heavy wear, excessive highlighting/writing, loose binding, AND/OR water damage. Supplemental materials such as CDs or access codes may NOT be included regardless of title. Contact us with any questions! Wise deconstructs the ?automatic? 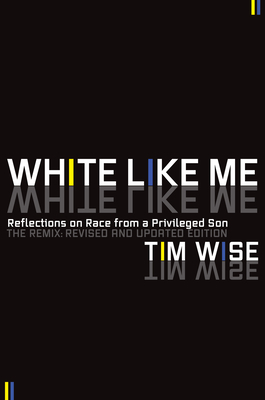 perquisites of white privilege and recounts the kinds of resistance and denial he has encountered in his mission to raise the consciousness of white America regarding the stacked deck that makes prejudice so thoughtlessly easy and thereby furthering the reign of white supremacist ?logic.? The relationship to U.S. foreign policy is, to me, inescapable; thus it is a significant part of the construction of American exceptionalism that argues, for example, we believe in private rights and religious freedom but you can?t build that religious center on property that you own, or that seems to argue that you can not call it anti-(whoever) just because we kill those people in the name of freedom and decency.